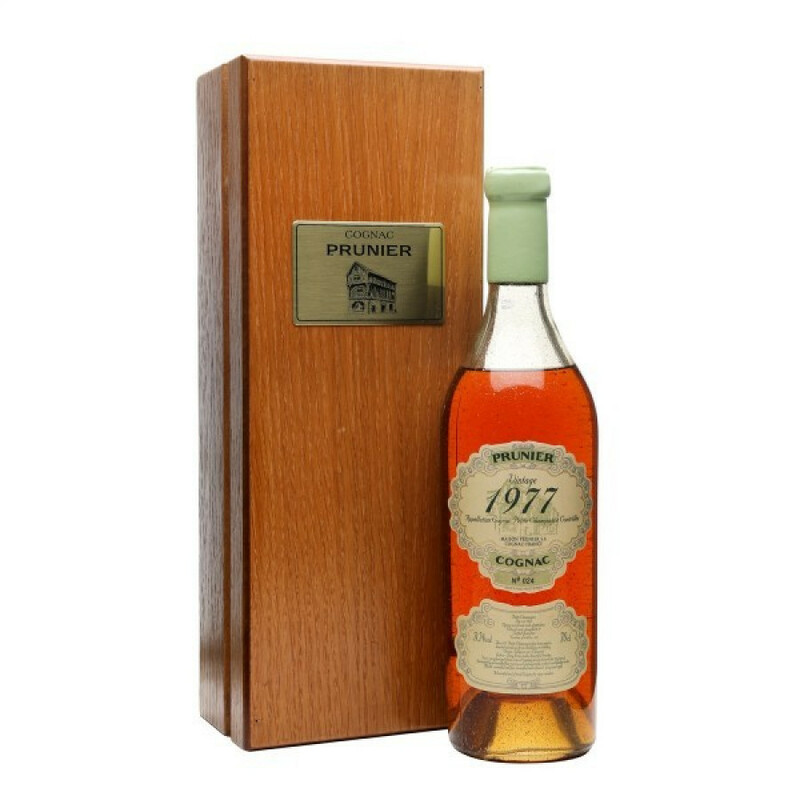 This Prunier 1977 Petite Champagne Cognac is a pure delight from this top quality cognac house. Prunier specialise in producing wonderful cognacs from the years when the harvest is a great one - and this cognac fits beautifully into this category. It was created in a strictly limited edition of only 100 bottles. It's a blend of, as the name suggests, Petite Champagne cognacs - and really is a bottle that truly deserves to grace the table at the best of occasions. At 56.2% ABV it's a great sipping cognac. It is beautifully presented in a traditional cognac style bottle with simple label - and is nestled comfortably in a wooden presentation box.